I borrowed this book from a friend and just had to share it with you. 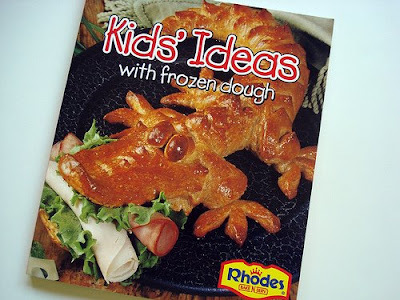 It is put out by the Rhodes company, the peeps who make the frozen bread dough, but all the projects can be made with any kinda bread dough. My friend just makes a batch in her bread maker. Anyhoo, she and her 4 year old daughter really enjoy making these creations together. Each creation is broken down into easy to follow steps and shapes. Whether making a critter from this book or using it as a springboard for your own creation, this book seems like a must have. Can't wait to give it a try. This is the last day to enter the drawing for 2 hairbands. I'll close the comments this evening. Winners will be announced tomorrow! My fingers are crossed for you. Labels: book club, Kids' Ideas with frozen dough. Who ever thought dough could be so much fun! My fingers are crossed for me too, when I read that they were for adult noggins I did a little dance in my seat. 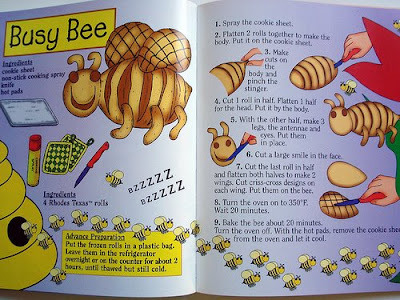 such a cute book - thanks for the link. What a neat idea! You'll have to post photos of your creations. how cool! I would venture to bake bread again (the first times did not go perfectly and i got flack from my hubby's side of the family who regularly bakes. 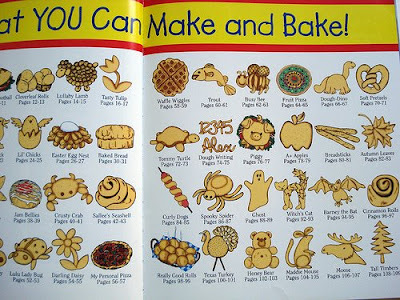 discouraging...), just to try to make some of these. anyhoo, I will be linking this post to my blog at perilloparodies.blogspot.com, and mentioning Muffin Tin Mondays. Oh, I will have to get this book! My boys would LOVE it!